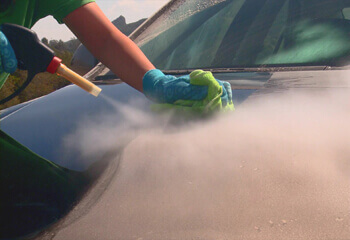 - Make your car gleam with steam! The steam generated by the Optima Steamer™ is hot enough to lift off any grease and soilage, produces enough pressure to break down dirt, caked-on dust and mud efficiently. In less time than a traditional steam car wash, the Optima Steamer™ not only thoroughly washes your vehicle, but also sanitizes the interior and refurbishes greasy engine parts anew. It can even also reach the tightest spaces and fittings that would otherwise be completely inaccessible with a pressure washer. - Drive a clean & hygienic car! Scientifically proven to kill all known bacteria and mold – Steam cleaning provides you with the most meticulous job out there! 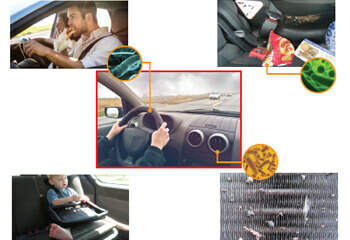 Did you know that microscopic parasites are found living on all textiles and fabrics inside cars? By steam cleaning, you can rest assured that your car remains free of mites, parasites and other allergens! Steam cleaners use a small amount of water and chemicals to wash the entire car and use 100% natural detergents to minimize negative environmental impact. And the environmentally friendly feature also steam sterilizes and deodorizes cars! This is the most special cleaning method on the market today. If you’ve ever been disappointed by a conventional steam car wash or had to wait in long lines for your turn, Optima Steamer™ would be the perfect solution for you. This convenient all-in-one system allows the customer to wash and detail anywhere and everywhere without the hassle of visiting a car washing outlet and with little to no waste-water run-off. 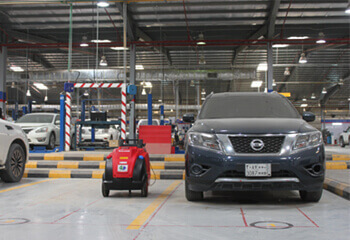 - Comprehensive car cleaning services at your doorstep! 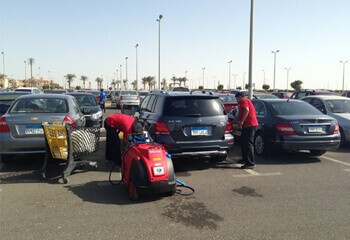 Now, it is becoming a global trend to get your car washed by on-demand, Smart App-based mobile car cleaning services. Once you make an on-line booking via Smart App., mobile van will drive all the way to your location and take care of your car while you go about your day. Optima Steamer™ enables car cleaners and detailers to take their business on the road with less initial investment and high return on investment. 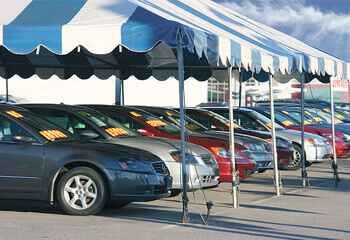 Steam is now a vital part of the automotive repair industry. The Optima Steamer™ leaves no residue and dries almost instantly, avoiding the hassles of clean-up and waste-water maintenance. The Optima Steamer™ also speeds up the cleaning process by easily reaching nooks and crannies while providing a thorough cleaning inside and out to all of your vehicles! By washing cars efficiently, the Optima Steamer™ is the ultimate time-saver and a great way for auto-body shops to stay focused on the task at hand instead of unnecessary cleanup. With the one-stop vapor steam cleaning system, you can easily remove compound in the tightest cracks and crevices. 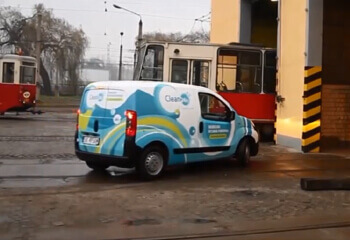 The Optima Steamer™ can not only wash a car’s exterior, but also the engine compartments, undercarriages, and even the interior without damaging them. 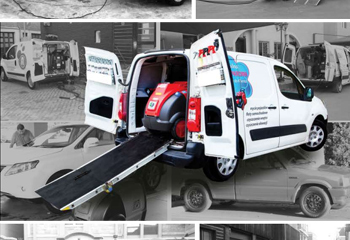 The Optima Steamer™ not only cleans cars, but also keeps your shops in spotless condition. Remove grease residue, oil stains, and other blemishes from your equipment to maintain your shop’s presentation. 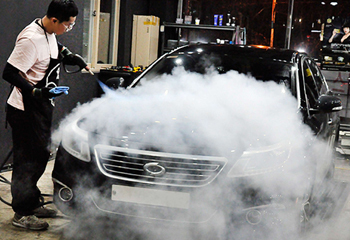 Optima Steamer™ enables auto detailers to detail cars using high pressure steam. Steam cleaning requires no labour intensive scrubbing, pre-soaking or chemical use, making the cleaning process healthier and quicker. The high pressure steam also neutralises the germs and bacteria breeding in your cabin. Needless to say, as this technique only uses water (less than 3 litres per service), it is an eco-friendly cleaning solution. Save man hours by reducing car cleaning to just one device that does it all! The Optima Steamer™ eliminates the need for chemicals and provides an effective sanitizing clean for the entire vehicle inside and out. With no waste-water or overspray, you may effectively clean an entire vehicle right where it rests at your dealership! Naturally where passengers are involved it is important to keep exteriors and interiors clean and hygienic. Compared to conventional cleaning methods, Optima Steamer™ eliminates bad smells, leaving the surfaces dry quickly so the vehicle can be back to its routine operation immediately. With the high temperature (178°), Optima Steamer™ guarantees the complete elimination of bacteria, lurking germs as well as pests and fleas that can hide away inside chairs and upholstery. 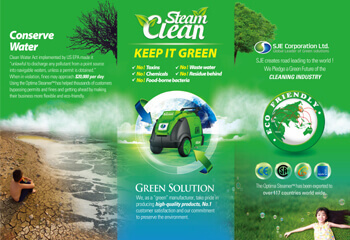 - Steam is incredibly effective at cleaning and sanitizing the interior of vehicles, buses, trains and more. Most power boats and sail boats are made of fiberglass, finished with a gel-layer coating that can be easily stained and damaged with conventional cleaning chemicals. In addition to the oxidizing of the gel-coat, wooden & metal surfaces require regular cleaning- the battle to keep rust & rot at bay is constant. 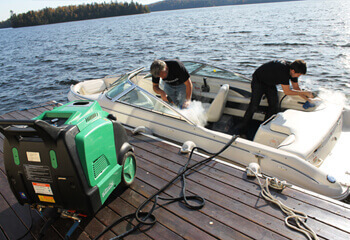 Winter damage and water intrusions creates cracks or mold in hard to reach areas, but vapor-steam, with its moderate pressure and temperature, is the best tool for boat cleaning and prepping jobs. The light pressure penetrates and safely blasts away debris from surfaces.